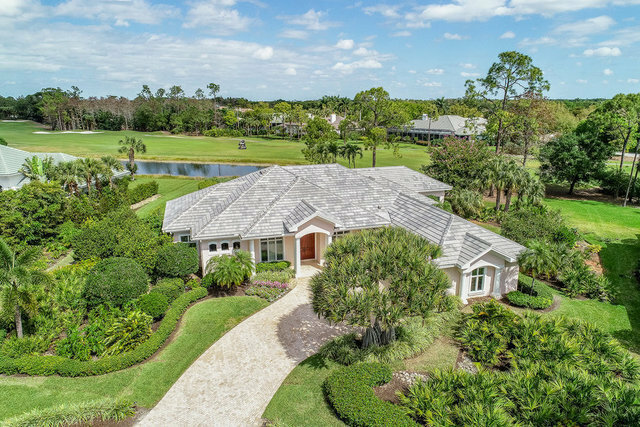 Sited on .71 acres, this charming one-level living home has expansive westerly views over lake and fairway on Grey Oaks Country Club's Pine Course. The property has been updated with a new roof, lanai tile, screened-in dining porch with summer kitchen, renovated guest suite, and expanded family room among other enhancements. Crafted with custom cabinetry, Dacor, Miele, and Sub Zero appliances, the kitchen opens to a very comfortable and inviting family room that also has wall-to-wall custom cabinetry. Grey Oaks Country Club recently completed a $30 million-plus renovation, including a state-of-the-art health and wellness center, five-star pool and cafÁ© area, golf and tennis instruction facilities and many other exceptional amenities. Location couldn't be better as Old Naples, the beaches, The Naples Philharmonic, fine dining and shopping are a short drive away.